GET YOUR INBOX RIPPED TODAY! Have you wanted to turn over a new page in your life and crush all of your fitness goals and make all kinds of gains? Therefore, the “Try before you buy” idea is great before you drop your hard earned cash on something that worked well for your gym mate. Whether you’re starting new workout routune, getting back into shape, competing in physique competitions, or have been working out and living a fit life for some time, the goal is still the same . . . to make gains! HAPPY NEW YEAR to the RIPPEDIENCE Athlete Team. FIRST, a friendly reminder for new applicants to be sure to click the “activate account” link in your original welcome email if you haven’t already (don’t forget to check your junk mail in case it accidentally went there). Only active accounts will have access to the dashboard at www.Rippedience.com. influence-ability categories in the male and female spots respectively. Click Here to see his post. Click Here to see her post. Remember that every month is a new opportunity to win. So if you didn’t win December you ArE capable of reposting for this month. DM the post to us and we will post it. For anyone having difficulty with this please DM or email us and we will be glad to help. More detailed instructions are below in the IMPORTANT CONTEST UPDATE section. You can do these poses from the comfort of your own home, the Beach, Gym, or any other place of your choosing. You may download or use our Logos solely for contest use. No other use of our Logos are permitted. We are proud to see our team growing and proud of every single one of you. Many of your entry speeches are truly amazing. Keep up the good work and get your family and friends to enter the contest if you feel they represent fitness. For those coaches that have entered this is a great way to motivate your clients towards a goal and have them apply. Vote on each other and support each other to enter every month and win. We are a family and as such let’s support each other like family. 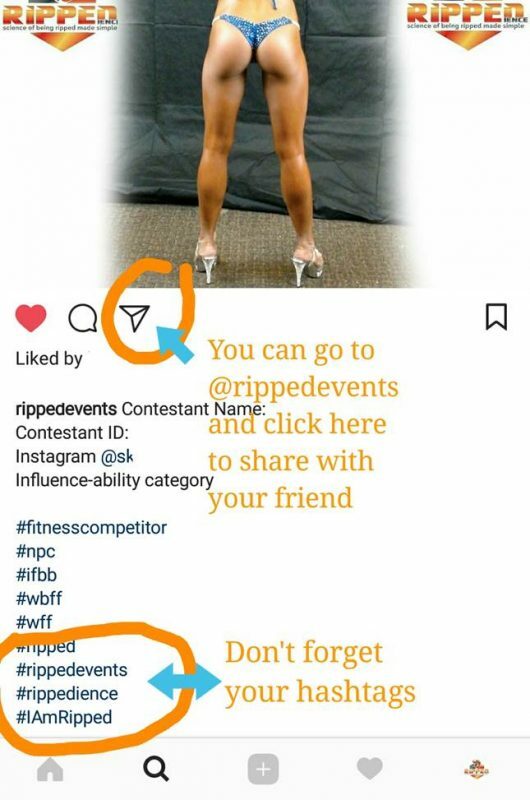 For those of you who have registered but have not uploaded your 2 posts yet ((1) posing video and (2) influencer ad – picture or video) please UPLOAD YOUR POSTS to your Instagram account and tag @RIPPEDEVENTS for each post that you want us to repost @RIPPEDEVENTS. Remember every month is a new opportunity for you to win. You hold an advantage by posting early on as there are fewer competitors to compete with. Winners are announced in each category (4 categories – (1) Men’s Posing, (2) Men’s Influence-ability, (3) Women’s Posing, and (4) Women’s Influence-ability) every month which advances you 1 step closer to the Bentley Grand Prize. Yes, that means you have 2 chances to win every month either based on your posing OR based on your Influence-ability posts. And don’t forget that each contestant is given an opportunity to earn money every month as part of this contest for doing what you are already doing … posting pictures and results online motivating and inspiring others to also be motivated. Remember that every person’s body reacts differently to different supplements, usually based on body chemistry and body tolerance. This is why some people complain of headaches or stomach aches when they use a supplement, but you could use the same supplement and feel nothing. 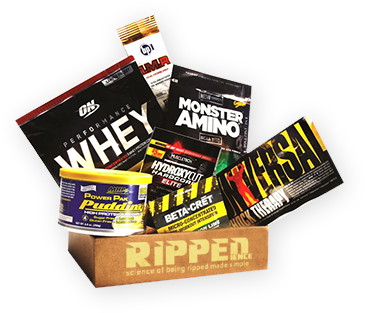 Rippedience allows people to try new supplements every month customized to their profile which will help them find supplements that ACTUALLY work for them. Now you look like a hero for helping them find those supplements, and you get paid for it. As athletes we know that supplements and nutrition are major components to our success. Keep in mind many of your followers don’t realize how important nutrition is. So be their hero and show them how to get the body they want with the right supplements and workout tips. 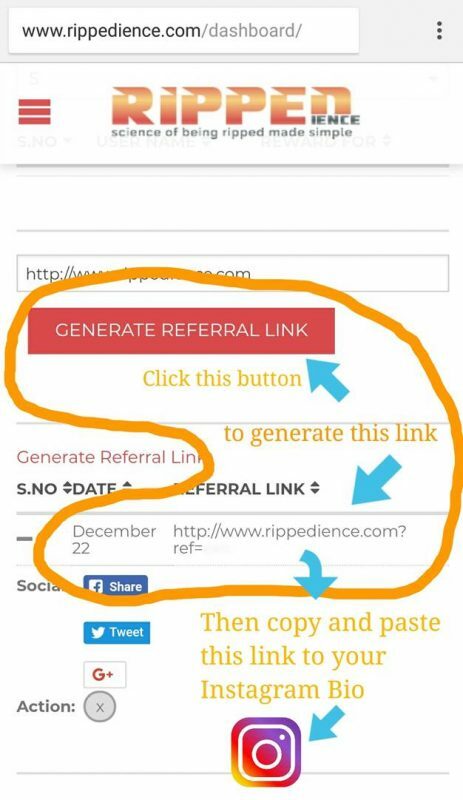 Create your referral link and post it on your various social media or web pages to start generating money and to show your influence-ability. Referral Link – You get paid $1 for every subscription sale through your referral link. 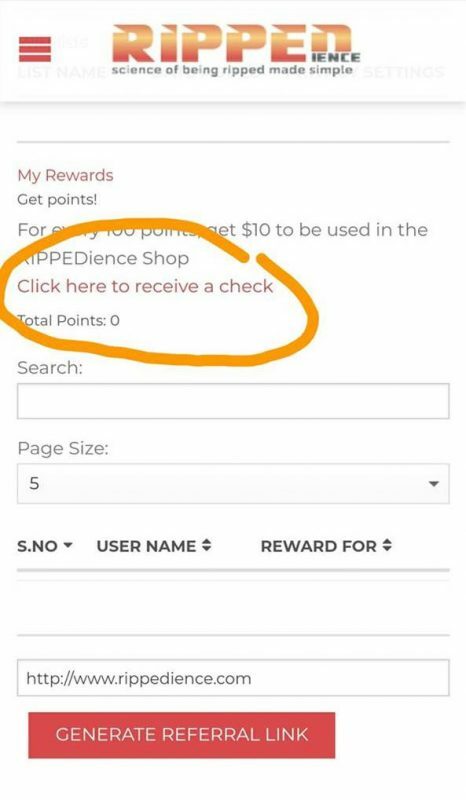 You can either use the money to buy stuff on our website or click the “Click here to receive a check” link in your dashboard to have us send you the money that you earn every month. Yes, that’s right, you get paid to be a part of this contest. Part of your influence-ability is your ability to monetize your popularity/look/brand into subscription sales. This adds value to your Instagram account and helps you start to show value to other vendors per post that you can start charging them for. Look in your dashboard to create a similar link to the one below. Your account will show how much you have earned and whenever you feel like it all you have to do is click that “Click here to receive a check” link to get your money sent to you. Don’t forget to send your followers to your posts @RIPPEDEVENTS to vote on you. Remember that a very large portion of your votes are measured according to Like and Comments on each of your posts @RIPPEDEVENTS. There are a few different ways to send your friends and followers to vote for you. Below are 3 METHODS that you can use. METHOD 1 – Send them to @RIPPEDEVENTS and let them search for you and vote on all their favorites. 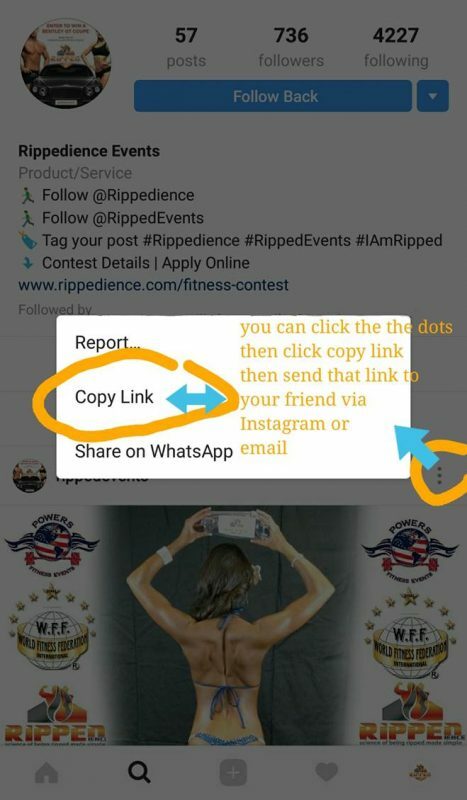 METHOD 2 – go to your post on @RIPPEDEVENTS and click on the share button then send the post to your friends and ask them to vote for you in the message portion. METHOD 3 – Copy your post link and send it to all your friends and family via SMS, text, email, DM, etc. As a public figure or fitness model, remember that your purchase of a subscription from our site and outfits used for these posts may qualify as a business expense and may be tax deductible. Talk to your bookkeeper or accountant about the different things you can write off as a model and public figure using Instagram for business promotional purposes.